The launch of my new book will be held in conjunction with the opening of the new Amiens Legacy Center – read the flyer for more information. 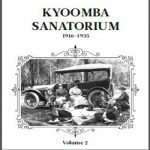 Kyoomba Sanatorium Volume 2 follows on from Volume 1 released in early 2018. 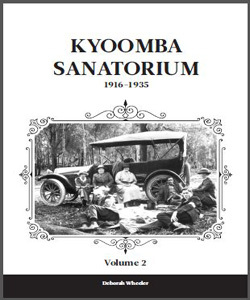 Volume 2 covers another 400 soldiers and hospital staff who were at Kyoomba Sanatorium Military Hospital near Stanthorpe during the period 1916 – 1935.